TEETH were bound together with gold wire. At an ancient burial site, dental bridges are excavated. Most probably inserted post-mortem. Work on teeth was done not for dental maintenance or hygiene, but strictly for ritual, religious or purely self adornment purposes. Jade and turquoise stones are implanted in the teeth. Filing teeth into different shapes to indicate tribal and religious affiliations. 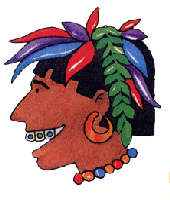 Speculation that the Mayans were the first to perform tooth transplantation. HIPPOCRATES writes about tooth decay and theorizes that dental problems arise from a natural disposition or inherited weakness. 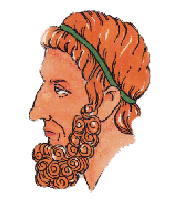 Ancient Greeks used pumice, talc, emery, ground alabaster, coral powder and iron rust as dentifrice. Fingers were used as a toothbrush to cleanse the teeth. 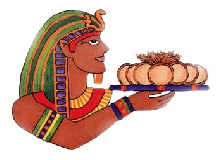 The Etruscans become experts in restorative dentistry using gold crowns and fixed bridgework. Full and partial dentures are not uncommon. The Romans have high regard fro oral hygiene. They use bones, eggshells, and oyster shells mixed with honey to cleanse the teeth. ISLAMIC DENTISTRY – The Siwak, a primitive form of toothbrush, is used for cleaning teeth, probably since prehistoric times. A horse shoe shaped metal instrument is used to scrape the tongue as part of oral hygiene care. LEONARDO DE VINCI, depicts the maxillary antrum. The first dental anatomist, BARTO-LOMMENO EUSTACHIO, publishes”Pamphlet On The Teeth” which covers anatomy and histology of the teeth. PIERRE FAUCHARD, publishes “Treatise on the Teeth” and elevates dentistry to new levels. He advocates that instead of patients sitting on the floor, they sit on chairs. Several dental procedures he develops are still in use today. PHILLIP PFAFF, proposes using softened wax to take impressions of the teeth. CLAUDE MOUTON, makes a gold crown and post to be retained in the root canal. He also recommends enameling the gold crown white to promote more pleasing aesthetic dentistry. 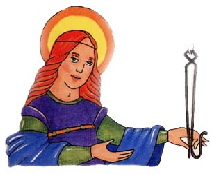 Mouton also writes of the first clasp to hold artificial teeth. The key is used by dentists in the American colonies to extract teeth. Some keys are made by blacksmiths, who often served as the local dentist. JOHN HUNTER, a British surgeon, names incisors, cuspids and bicuspids. The silversmith, PAUL REVERE, using previously constructed dental bridgework, identifies a dead body based on finding the bridge in the mouth of the deceased. This is the first time dental work is used to identify a person after death. JOSIAH FLAGG, using the design of a Windsor chair, constructs the first chair made specifically for dentists. It had an adjustable and extended arms which held instruments. GEORGE WASHINGTON is elected President. At the time of his election, he had only one tooth, a lower left bicuspid. 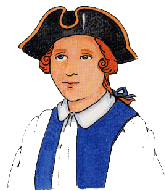 George Washington NEVER has wooden teeth. His dentures were manufactured from gold, hippopotamus tusk, elephant ivory and human teeth. R.C. SKINNER establishes the first in-hospital dental clinic in the United States in New York. He is also responsible for the first free dental care clinic for those who cannot afford the fees. He also is a firm advocate of preventative dental maintenance.Skinner is considered the father of American dental literature. NICOLAS DUBOIS DE CHEMANT patents porcelain teeth. 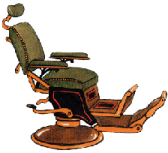 JAMES SNELL invents the first reclining dental chair. SAMUEL S. WHITE, a Philadelphia jeweler, opens what would become the largest dental manufacturing company in the world. GARDNER COLTON demonstrates the effects of nitrous oxide. Pacifiers or teethers are made from coral and used to expedite eruptions of the teeth in children. There is evidence they were used earlier. WILLIAM MORTON uses ether, a first, and also invents the ether inhaler, at Massaschuetts General Hospital. New York is the first state which proposes examination of dental candidates. G.V. BLACK perfects the formulation for amalgam for dental fillings: 68% silver with small amounts of copper, tin and zinc. Expansion and contraction of fillings can now be controlled. WILHELM ROENTGEN invents the X-ray. In 1901 he is awarded the Nobel prize. 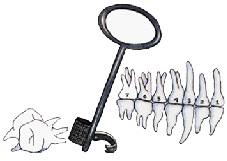 C. DEMUND KELLS uses the first X-ray in dental practice. 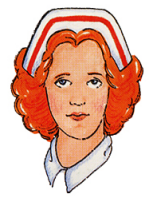 Dr. Alfred Fones of Connecticut trains his assistant Irene Newman to do prophylactic work on children. She becomes the first dental hygienist in the world. The DMF Index is proposed as a quantitative means of measuring decay, missing and filled teeth by Dr. Trendley Dean. Dean studies extensively on fluoride and its impact of teeth. The American Society for the promotion of Children’s Dentistry is founded. CREST® is awarded ADA acceptance as an effective decay preventive agent, the first toothpaste to achieve this recognition. CREST® is chosen as the toothpaste for all NASA Shuttle flights. CREST® introduces the first tartar control toothpaste. CREST® becomes the first toothpaste clinically proven to prevent adult root cavities. CREST® is the first to create a toothbrush with rippled, end-rounded bristles that can reach farther between teeth. 35th Anniversary of Original CREST® being accepted by the ADA.